Thank you for sharing your email address. 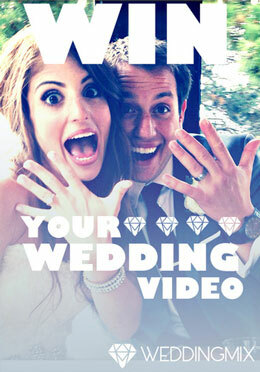 You are now entered to win a free WeddingMix wedding video. Enter to win a free wedding video. There are lots of myths that go around about wedding videos. 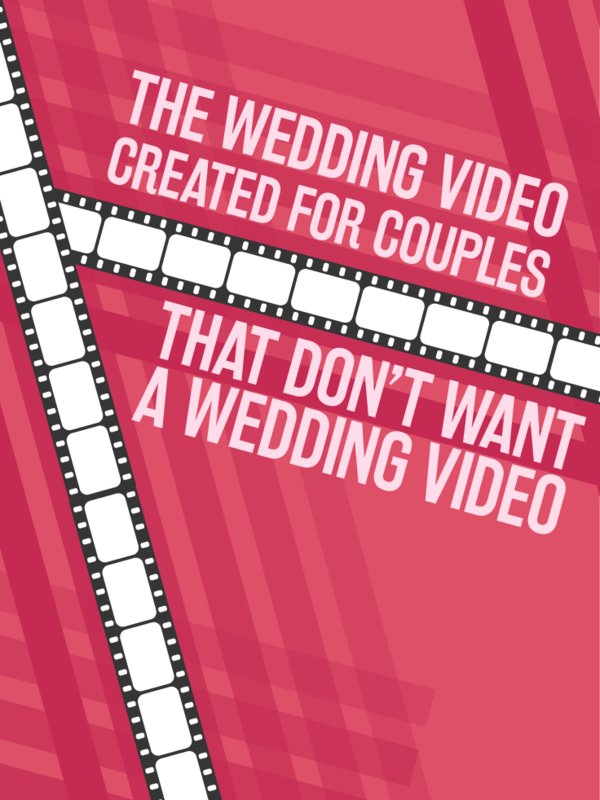 Check out this list of lies of common lies and learn the truth about wedding videos! When you’re weighing your wedding video options sometimes it helps to ask a friend for wedding advice. Maybe they’ve been through it all before and can help get us through the stress, and more importantly avoid their mistakes. I appreciate my friends’ advice, but sometimes I’ve found their input to be less helpful than I thought. 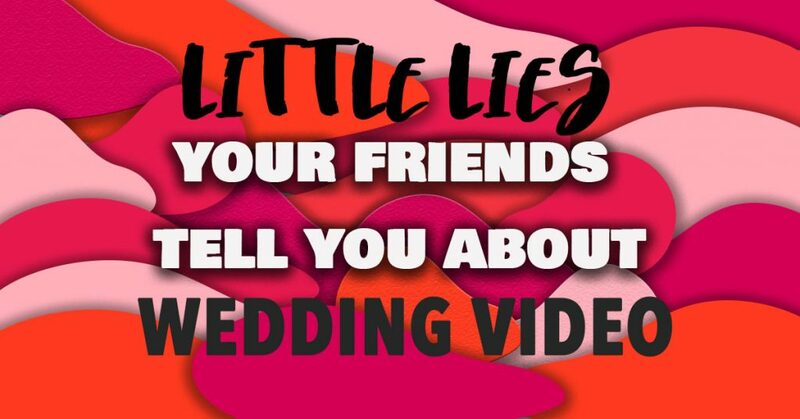 Here are a few little lies I’ve heard friends advise about wedding video so you can ultimately decide if a wedding video is for you. How many times have you heard that you’ll never watch your wedding video? If you get this advice, find out more about your friend’s wedding video. In some cases traditional wedding video can be incredibly long and boring. Most older wedding videos are actually over two hours long and that’s just boring, even if it’s your own wedding! WeddingMix videos are super sweet and shareable, so you’ll want to watch every second. 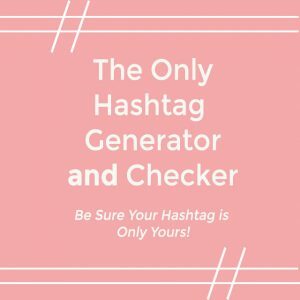 The highlight videos are included in every package and are perfect for sharing with loved ones on social media. All the packages also include the raw footage and photos that your friends filmed and a gallery to share it all. Longer feature length videos are also included in most packages and allow you to pick the scenes you want to watch over and over again. The next time someone tells you that you won’t watch your wedding video, remember that you don’t need to follow the traditional format. You can capture all of the sweet emotions and fun moments that happened that day. Most of today’s videographers know how to work well with photographers, so that both of them can get the best moments from your wedding. Now you keep hearing about how wedding videographers are intrusive with the bright lights that take guests out of the moment on the dance floor. Before you write off wedding videos altogether, remember that there are other options to capture your special day if you don’t want yet another vendor at your wedding. 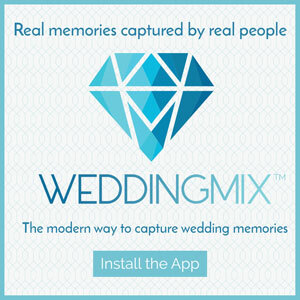 With WeddingMix, your friends get behind the lens to get the most candid, fun moments of the whole wedding. 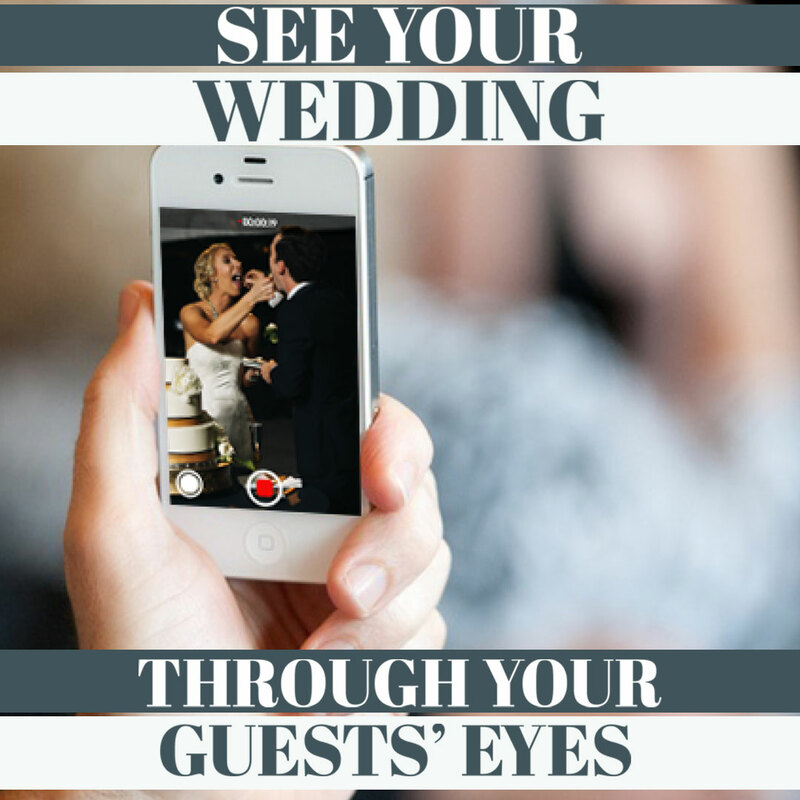 When guests are enjoying themselves they usually pull out their phone for a quick picture or video recording anyway. Even though the day goes by in a blur between the pictures, toasts, and dances, you’ll still be able to see the entirety of your special day. Maybe your friend used a videographer with a giant price tag and a really short video. Often times, couples end up paying $1,000 a minute for wedding videography. It’s a shame to pay that much for a video you don’t even enjoy. WeddingMix is an affordable often for most couples because packages range from $199 – $799. You’ll definitely be able to find an option that works with your budget and your wedding. In the end, all of the fun, genuine moments from your special day will turn into a wedding video that you’ll love. “Alright, alright, but if I’m not going to believe my friend, why would I believe you?? ?” Fair enough. I am the founder of WeddingMix. So don’t believe me. Believe the hundreds of reviews on Wedding Wire and The Knot. We’ve helped thousands of brides get a wedding video when they didn’t think it was possible. See how we can help you capture and enjoy your big day for a lifetime. Learn more about DIY affordable wedding video at our website or feel free to give us a call at 800-831-1649. See REAL weddings with your budget! What will my wedding cost? Just enter your budget, guest count, and region to see real weddings with your budget! Every Photo. Every Video. Every Guest. Edited Wedding Video.